No Exchange without taster teachers! This year, we’ve invited four couples to brighten the exchange with interesting taster classes. What’s a taster, you ask? It’s a class of one hour, about a specific theme, chosen and designed by the teachers. It’s called a taster since you only get a small taste in one hour, and not a full meal. But oh what a tasty taste it is! Jennifer Runyan & AJ Howard have won 1st place in the Advanced and Open Divisions at ILHC and Camp Hollywood, and we’ve decided it would be a shame not to take advantage of having a champion couple in Copenhagen. We are therefor very happy that they will teach a taster class at CPHLX18. More details will follow, but one thing is certain: You do not want to miss this! 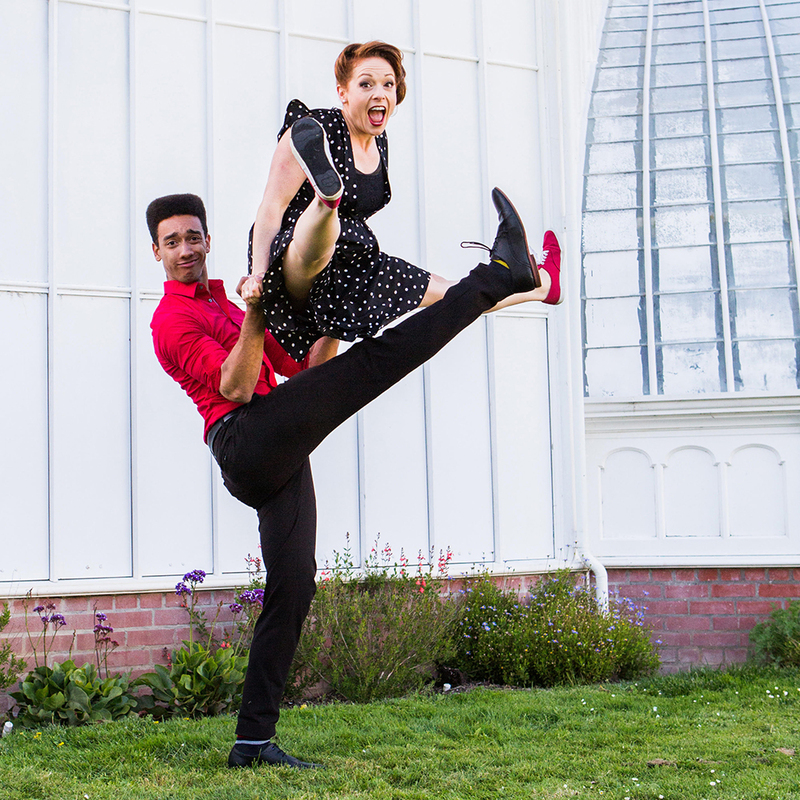 Kuno and Gosia are passionate lindy hop dancers, instructors and performers.They started their dance partnership in 2010, and they have been traveling around Europe ever since to learn and teach the lindy hop wherever they visit. In class, Kuno and Gosia love to focus on improving the core technique of the participants. They have developed a wide range of exercises to make the learning experience fun and enjoyable for everyone. With backgrounds in didactics and communication, Kuno & Gosia have a deep understanding of teaching methods, and they always make sure that their classes are well structured and easy to follow for all learning types. 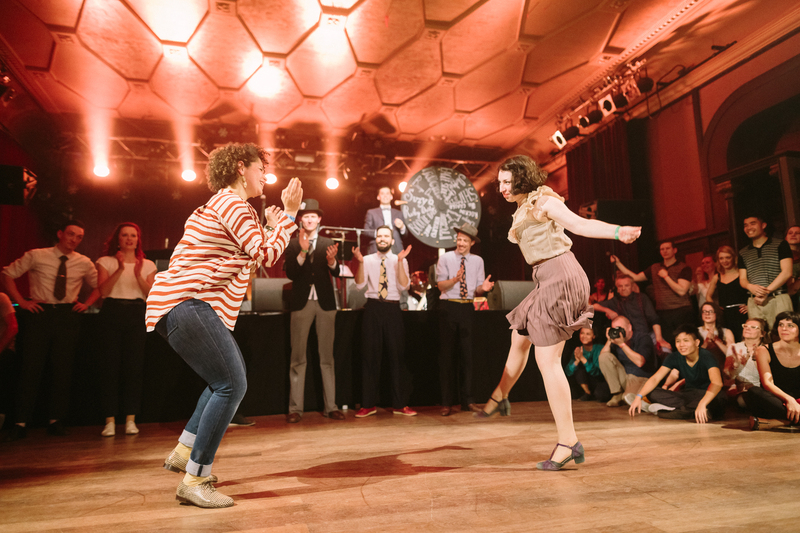 Kuno & Gosia run a swing dance school in Copenhagen: Happy Feet Studio. They are also among the main organizers of the international event The Swing Challenge, and were among the founding organizer for CPH:LX – we are happy to have them back as taster teachers in 2018! Yana Sanamyantz (RU) and Katharina Duarte (DK) will teach solojazz classes together. Their collaboration is full of communication through playfulness, music focus and individual style. Yana is an active swing dancer, performer, teacher and dj. She was surrounded by jazz since childhood, while dancing came much later. Since the first lindy hop lesson, she fell in love with the swing scene and started devoting all her time to music and dancing. Raised with love in Moscow Swing Dance Society she shortly became a teacher there and in a few years started to travel for sharing and finding knowledge. Yana is conveying joy, respect and love for the dance with her students. Katharina has been dancing and playing music since childhood. Starting with the violin at the age of 5 she has played, sung and danced her way through music schools and dance studios. At home, she grew up on Louis Armstrong and Benny Goodman. Her love for dancing and teaching lindy hop and solo jazz shines trough in her classes that are known for great energy, passion for music and focus on connection with students on all levels. Miranda loves everything about blues dancing, and brings energy, musicality and positivity to any event she goes to. She’s an accomplished lead and follow, and can be found tearing up dancefloors till dawn all over europe. Blues introduced her second addiction, lindy hop, which she also excels in. Her years of experience teaching both styles let her share her passions with others in a fun, friendly, inclusive way. 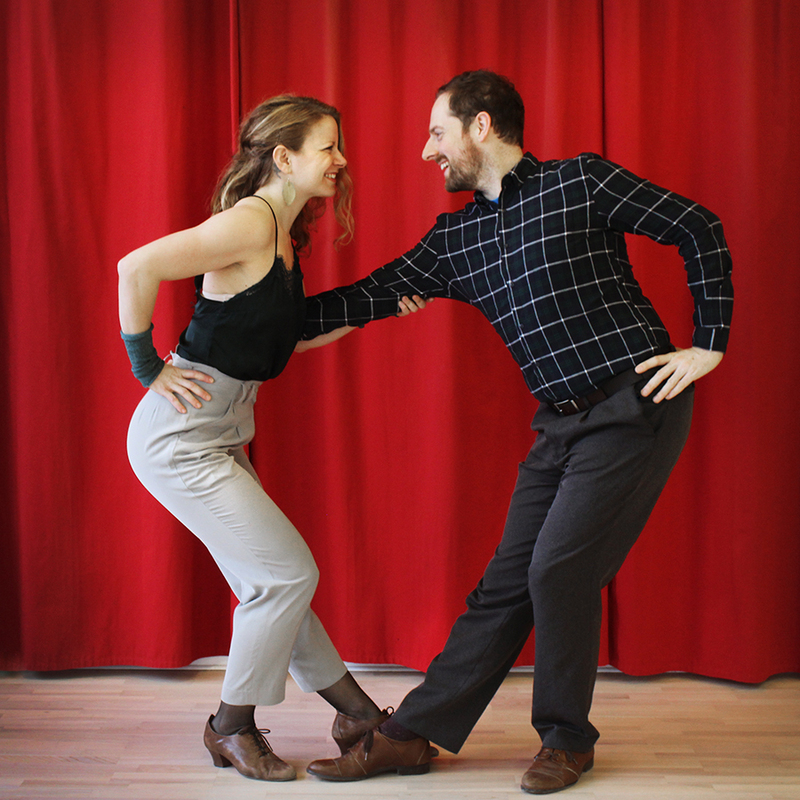 To her, the core of the dances is joy, musicality, and the connection she has with her partner. Liam started lindy hopping in 2014 and quickly threw himself into the world of swing dancing, appearing on dancefloors all around the UK. He found blues dancing and blues music shortly after lindy hop and adores how the dances styles complement and enhance one another. He craves flow, gentle connection, and opportunities to listen to inspiration from his partners delight him. The main goal of the work he puts into learning, training and travelling is to craft more moments of joy in social dancing. Miranda & Liam will give an intro to blues dancing thursday, friday and saturday before the live blues music begins.